We’ve seen a ton of Nexus 5 leaks lately, including a purported technical manual, rumors about an October 15 release date, and a 7-minute leaked video showing off the purported device. Now, however, we've got an all but official unofficial confirmation of the phone, after Google accidentally a 16GB Nexus 5 on Google Play for $349—the original selling price of the 16GB Nexus 4. Google has since scrubbed the Play Store of any mention of the Nexus 5 along with the search giant’s Web cache—a veritable trove of day-after leaks from other hardware and software vendors. With Google effectively covering its tracks there’s little we can do now but sit and wait for the official Nexus 5 release. 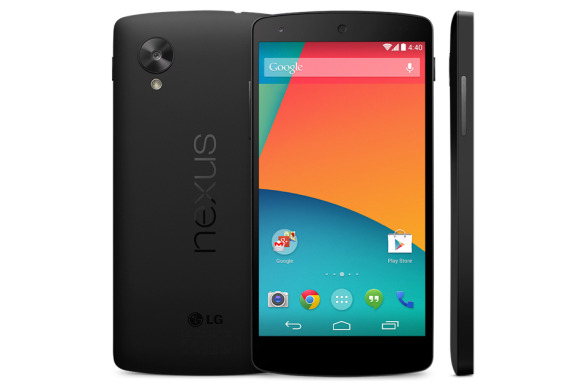 When it does show up, the latest Nexus smartphone is expected to be another LG-built device. The specs listed in the leaked service manual include a 4.95-inch 1080p display, 2GB RAM, 16 or 32GB onboard storage, a 2.3GHz Snapdragon 800 processor, an 8 megapixel rear-facing camera, and a 1.3MP front-facing camera. The device is also expected to come loaded with a 2,300mAh battery and Android 4.4 "KitKat," the latest version of Google mobile operating system. 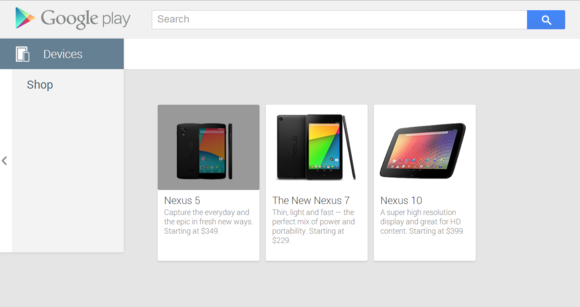 But when will Google finally give up the goods and let people start ordering (or at least pre-ordering) the device? If you like reading too much into social media postings, then Friday is a likely day for the new Nexus release. On Tuesday—another widely expected launch day for the Nexus 5—the Kit Kat Google+ page showed an Android-shaped Kit Kat bar with the caption “Everybody dance now!”—the tag line for a 90’s pop hit by C+C Music Factory. A few enterprising souls over at Android Community did some research and discovered that song was released on, wait for it, October 18, 1990—23 years ago from this very Friday. Could today be Nexus 5 day? Perhaps not. You see on Wednesday, the same Google+ page posted another image of Kit Kat bars spelling “This is it” with a caption that said, “Sometimes you have to look for the signs…” Again, some enterprising researchers discovered that Michael Jackson’s album “This is it” was released on October 26, 2009, and the accompanying documentary and concert film version came out on October 28, bringing two more cryptic dates in the mix. But wait! The C+C Music Factory were once known as the 28th Street Crew. Get it? 28th street, October 28…it’s all coming together. Seriously, we have no idea when the expected Android KitKat flagship phone will get here—we just wish that it would. Anyone who wants to keep an eye on Google Play for the Nexus 5 reveal should watch the Nexus main page as well as this Nexus 5 16GB link. This story, "$349 Nexus 5 appears, then disappears in Google Play" was originally published by TechHive.